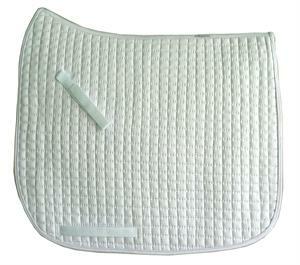 This quilted Dressage show pad has a cotton shell with high density and high absorbent felt fill and flannel lining. 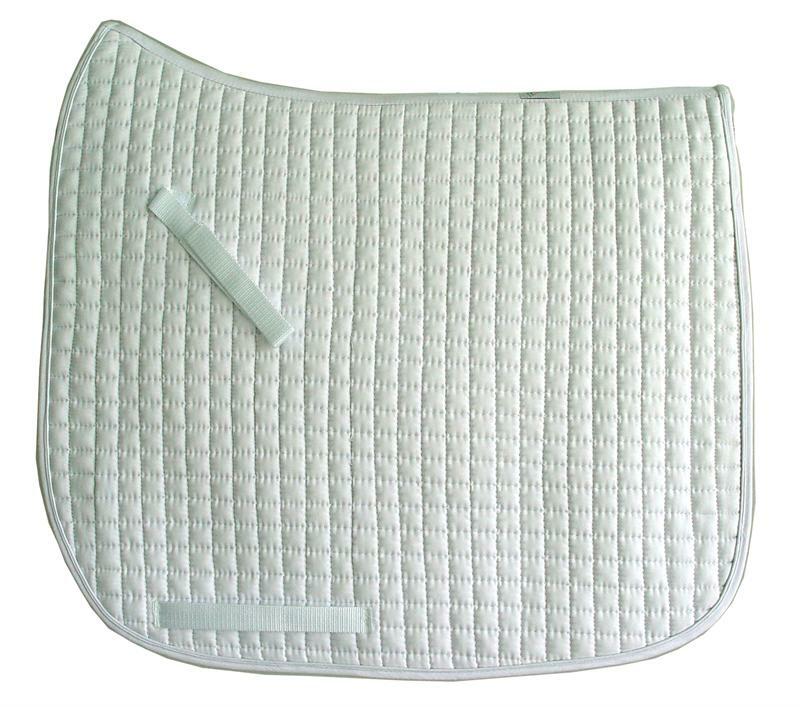 It is available in an assortment of colors and is machine washable, making it a great show and professional riding as well as practical training too. Size Horizontal: 26.5" Vertical Depth: 22.5", Spine Length: 26"
To Clean: Cold water or warm water machine wash, mild detergent without bleach, air dry or line dry only. Check out: Charge will not be posted to your card until the correct calculation come out for final cost with discounts and free shipping deductions. ©2019 Horses n Riders, All Rights Reserved.